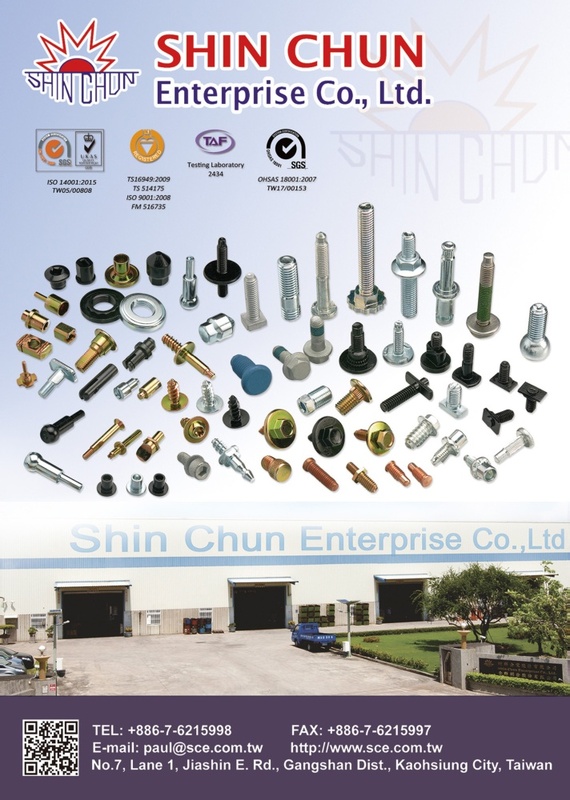 Shin Chun Enterprise Co., Ltd. is a professional manufacturer of screws in Taiwan. We produce screws for drywall, chipboard, tapping, self-drilling, concrete, machine, Automotive, special-use, etc. 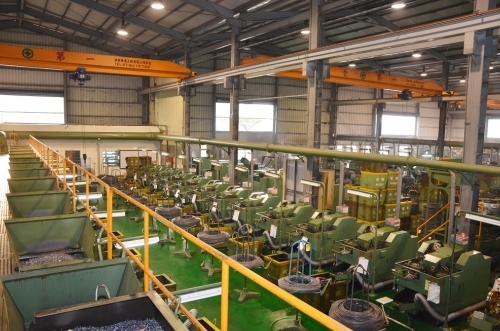 For meeting severe request of Low Defective Rate, we install sorting machines in our factory including roller-, and optical-sorters to sort out scrap and unqualified products. In our QA office, engineers strictly inspect samples pick up from every lot of semi-and finished-product by variety of testing machines. We are certificated manufacturer of ISO9001-2008 version, and TS16949:2009 (awarded by BSI). For satisfying customers' variety needs, we do lots service. For example, to assemble the washers/screws, to collect the screw onto plastic chains, to pack the screws into small PE bags or PP/PVC boxes for retail, and so on. We welcome customers to tell us what they need and we will try to make it real. There are 95 personnel in Shin Chun, half in job site and half in office. Our staffs are all energetic and aggressive. Most of them have work experience for over 8 years. The job site engineers have even more than 20 years in this field. You can just trust us. As a member of the earth village, we try our best to protect the world environment. Except for being certificated as a ISO14001 manufacturer, we make a target to increase the percentage of green commodities’ supply. At the moment the percentage of Chrome VI free products is over 43%. We are trying more efforts to make it higher. We need your support!! Let’s make the world better!! Following the regulation becomes the responsible enterprise citizen. CARRY OUT THE FAITH OF POLLUTION PREVENTION、ENVIRONMENTE PROTECTION. Mould the high-quality green environment. Good at trying energy-conservation best to reduce and abolish the responsibility with environmental protection.